I have a problem with the tcm of my dodge dart 2013. 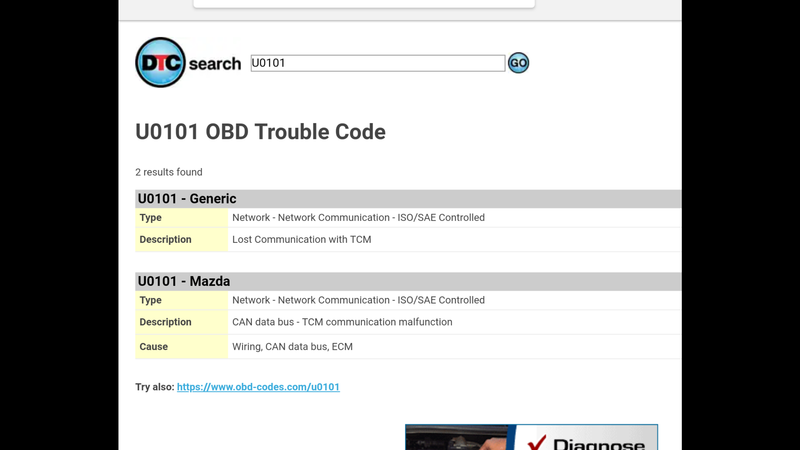 The obd2 scan was placed and it says lost communication with the tcm. 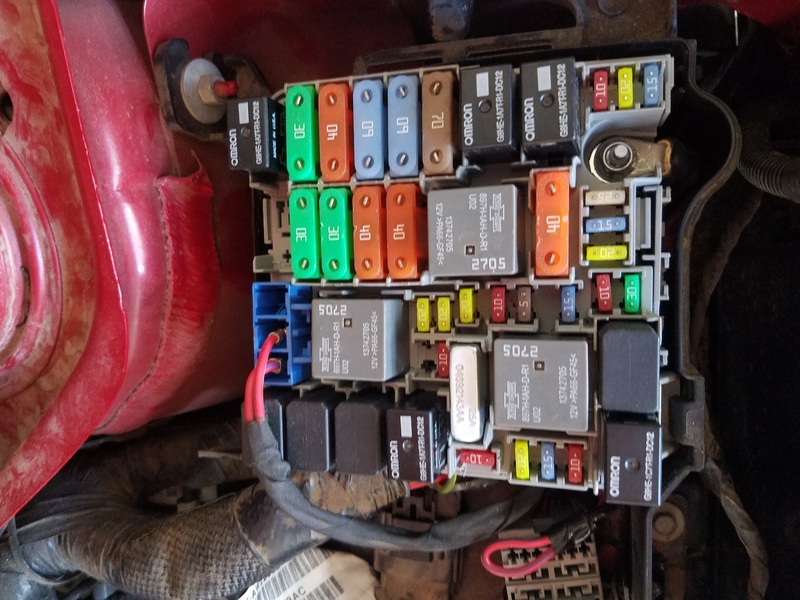 I turn on the light of the engine and what I do is disconnect the negative from the battery and then turn on the dart but if I do not do this it does not turn on, either in the engine light no shuts off. I researched and I saw in a place that the tcm of dart 2013 onwards came with problems and that the 2012 fiat 500l and dodge dart 2012 models do not have problems, but I would like the opinion lived by some regarding this problem. The tcm of dodge dart 2012 can be used in my dodge dart aero 2013.
if this does not work could I use the tcm other that ddct c635? Last edited by julio-R; 03-28-2018 at 02:07 PM. Has recall campaign R42 been completed on your Dart? The cause of the TCM issues was the mounting bracket it was attached to causing it to flex too much. The recall involves replacing the bracket, installing a brand new TCM, and flashing it with the latest TCM software. If R42 doesn't show up, it's been completed. As for your other questions, if the TCM is the problem (you should have a "SERVICE TRANSMISSION" error on your dash), it will likely need to be replaced. You can't just use the TCM from another vehicle, and I'm pretty sure this is one of the few parts that must be installed by an FCA dealership. 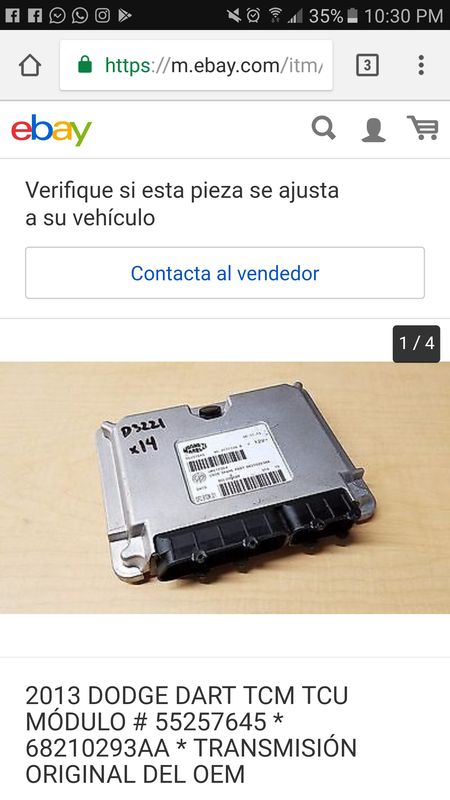 The reason is that the new TCM comes to the dealership blank, with no program loaded, and the programming is only added to it after it is installed in the car. The programming is proprietary, so while you could theoretically purchase a TCM and install it yourself, it wouldn't actually work. Unfortunately, unless you have some kind of extended warranty, you will have to pay for this service. NOTE: There is no such thing as a 2012 Dart. I brought the dart of the U.S. towards Dominican Republic. THE TRANSMISSION CONTROL MODULE (TCM) MOUNTING BRACKET MAY CAUSE THE PRINTED CIRCUIT BOARD SOLDER JOINTS TO SEPARATE, RESULTING IN AN ELECTRICAL OPEN CIRCUIT IN THE TCM. AN OPEN CIRCUIT IN THE TCM COULD CAUSE THE TRANSAXLE TO SHIFT INTO NEUTRAL WITHOUT WARNING. HAVING THE TRANSAXLE UNINTENTIONALLY SHIFT INTO NEUTRAL UNDER CERTAIN DRIVING CONDITIONS COULD CAUSE A CRASH WITHOUT WARNING. THE TCM AND THE TCM MOUNTING BRACKET MUST BE REPLACED. Last edited by julio-R; 03-28-2018 at 06:53 PM. I hate to be the bearer of bad news, but short of bring the car back to the United States, I can't see how you can solve your problem. Your car almost certainly needs this recall to be completed in order to work again, but only dealerships in the United States and Canada (the only places where the Dart was ever officially sold) are authorized to do it. I feel bad for your predicament, but importing a 2013 Dart 1.4T DDCT into a country where it was never sold and where it has no support is a very risky thing to do for exactly this reason. the dart is working only that sometimes turns on the engine check light. when I park it and return the dart does not turn on and the engine check light wnciendo but I know that is the tcm. a question that would happen if use another tcm with the same numbers of part that has my tcm? Last edited by julio-R; 03-28-2018 at 08:32 PM. 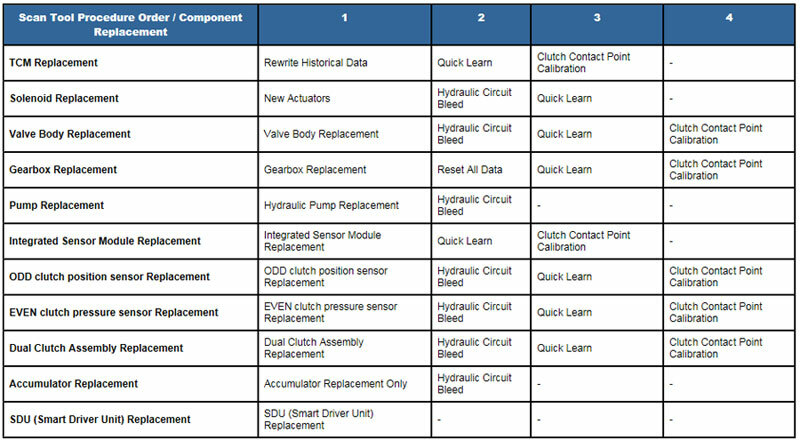 NOTE: When replacing a Transmission Control Module (TCM), check for any software updates. Update the controller if any updates are available after installation. NOTE: Failure to properly program the TCM may result in the illumination of the Malfunction Indicator Lamp (MIL) and setting DTC(s). NOTE: While performing the TCM programming procedure, the vehicle battery must be maintained between 10 and 16 volts. Ambient temperature must be between 0° C (32° F) 60° C (140° F). Vehicle must be in Park with brake pedal depressed. 1. Using the scan tool and Dealer Connect, download the appropriate TCM flash file to the scan tool. 2. Ignition on, engine not running. 3. Vehicle in park with the brake pedal depressed. 4. Following the menu on the scan tool, program the TCM. 5. After the TCM has been programmed, a TCM Configuration must be performed. 6. Clear any stored DTCs. 7. Road test the vehicle above 40 m.p.h. for at least two minutes. 8. With the scan tool, select View DTCs in the TCM. The transmission clutches must be above a certain temperature threshold before performing the Quick Learn Procedure. Drive vehicle and allow 5-6 up shifts and down shifts. If the Quick Learn procedure does not finish, drive the vehicle and perform 5-6 additional up shifts and down shifts. If the Transmission and TCM are replaced as an assembly, do not perform and of these procedures. The transmission and matched TCM are calibrated at the factory and should be ready for optimal performance. Last edited by alpinegreenneon; 03-28-2018 at 09:50 PM. jsblanch and julio-R like this. equipment do I need to do this? I find it on ebay? Last edited by julio-R; 03-29-2018 at 09:01 AM. You need an android device, the OBDLinkMX buetooth dongle, and the alfaOBD app for android. You get the app at Google Playstore. The times that the light of review the engine illuminates, it is when I try to start the engine of the dart, in this moment I ignite the light of the engine and he says loss of communication with tcm. On Thursday before dividing in a trip, you can clean the fucible and it fit better with a pinsa where each of them is hooked. 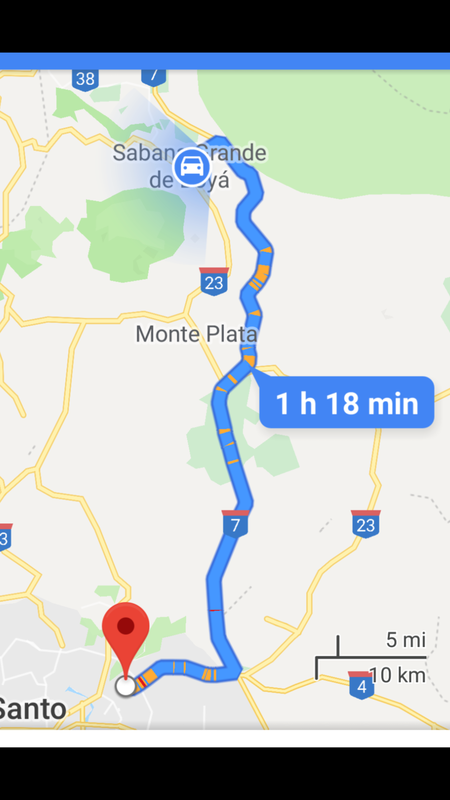 When you end, it fulfils the trip of 1 hour and 18 of way and there is no problem. When it comes, extinguish and start the dart during approximately 6 or 7 times and do not ignite the light of communication of the engine lost tcm. Has it to see the adjustment that it does to the hooks and cleanliness fucible? Last edited by julio-R; 03-31-2018 at 11:01 AM. The times that the light of review of the engine illuminates, it is when I try to start the engine of the dart, at this moment I ignite the light of the engine and he says loss of communication with tcm. On Thursday before going of trip, it can clean the fucible and adjusts better with a pinsa where each of them is hooked. When you finish, it fulfills the trip of 1 hour and 18 of going and there is no problem. When it comes, extinguish and initiate the dart during approximately 6 or 7 times and tcm do not ignite the light of communication of the lost engine. Has it to see the adjustment that it does to the hooks and cleanliness fucible?